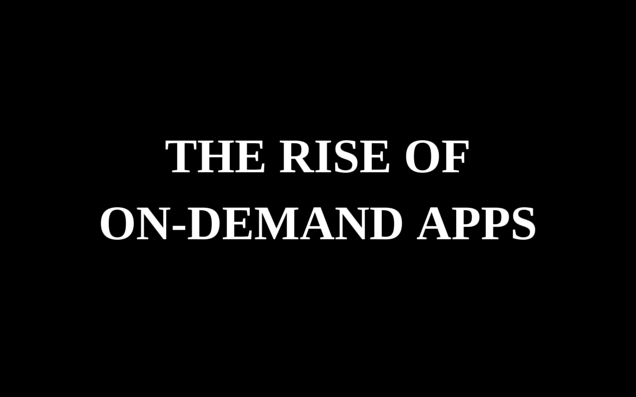 In this technologically sophisticated World, on-demand apps are cuddling in the app stores. Everyone wants to take advantage of the app stores towards which, the Globe is spinning at an incredible pace. According to the laws of marketing, a business gains reputation and earns more if it serves plenty of people (i.e, the rate of incoming bucks in your pocket is directly proportional to the number of people you are being helpful to.) So from all aspects, a business is bound to present its portfolio to the World either by appointing a sales representative or using an alternate – and that is to barge into your potential customer’s laptop and mobile phone, remotely yet effectively. For one reason or another, laptops are being used less now as compared to 2010. Now for all such purposes like reservations, ticketing, marketing, affiliate management, loyalty reward system , mobile carts and for customer feedback, our app stores are providing an edge to the businesses and all the potential customers. Multinationals and nationals, both are now swinging to hire top notch freelancers, get their app(s) designed and published at the app stores and they are all done! Even if all the employees are off to sleep, passive marketing is being done very effectively since the app stores never sleep! Your business is always in the reach of your customer and you never miss any order, reservation or feedback from your customer, based on your day-offs. Some years back, even if an authentic sales representative used to tell us about a fee linked with a particular product, we used to doubt his authenticity and security of our payment. But those brands who are now leaping towards the app stores have a great edge – payments are processed by secure gateways and servers – like in Google’s playstore, Google Wallet is the barrier between funds and scams. Since Google is a highly trusted brand, people cannot even think about being pawned here so they are ready to release funds at the first call. Moreover, the referral program has now been introduced in apps as well and you get paid for every reference. This was not possible for some physical brands earlier. By launching this rewarding feature inside an app, the brand-customer relation is nourished and ultimately, both are in a win-win situation. 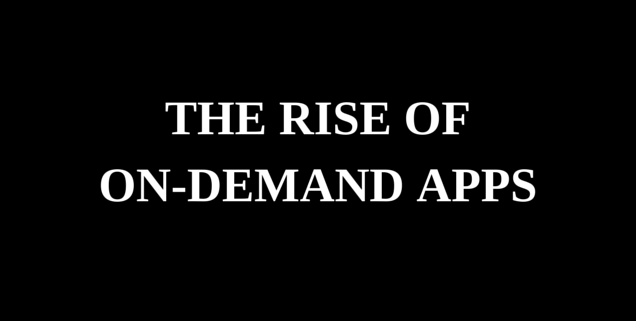 Rise of on-demand apps has created a sea of lurking opportunities for the freelancers as well. Brands pay somewhat around 800K for an app – indeed a decent amount per app for the freelancer! So now, we don’t have to just kill the clock and play games all the time . You could earn bucks while you are free so just value your free time and if you have nothing to buy from a brand, start referring people via your affiliate link so that you get rewarded.